It is a analgesic and antipyretic in action, apart from its anti inflammatory action. 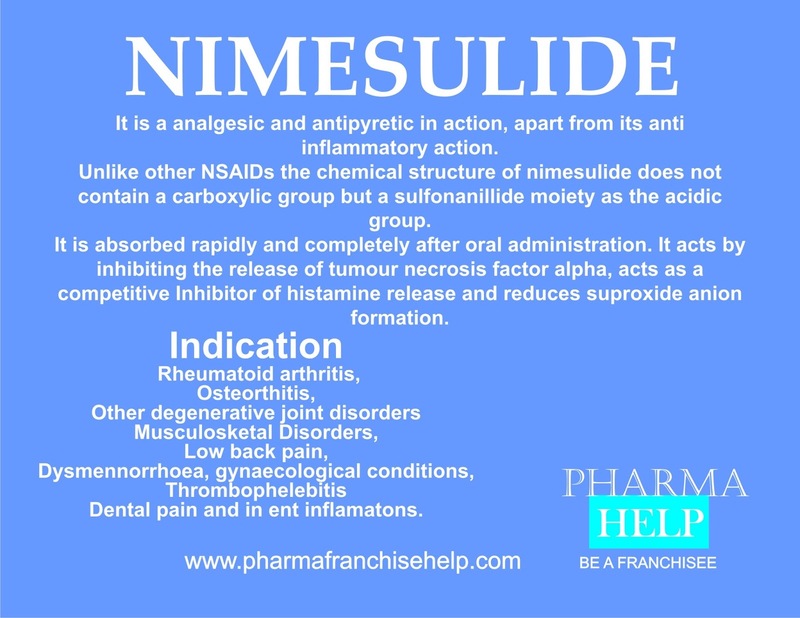 Unlike other NSAIDs the chemical structure of nimesulide does not contain a carboxylic group but a sulfonanillide moiety as the acidic group. It is absorbed rapidly and completely after oral administration. It acts by inhibiting the release of tumour necrosis factor alpha, acts as a competitive Inhibitor of histamine release and reduces suproxide anion formation. Dental pain and in ent inflamations.